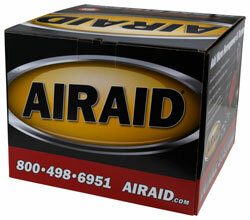 The AIRAID 300-106 fits some Dodge Ram 1500, and Dodge Ram 2500 models. See vehicle applications for details. Product was to my expectations, nice appearance and function. Problem was the installation. Very difficult to install the plenum to the throttle body. Had to cut loose the wiring that runs across the front of firewall and move out of the way to get it on. Also installing the wing nut to the adapter was almost impossible. Other than that the rest was pretty straight forward. Thanks, will probably purchase more for and recommend to others.